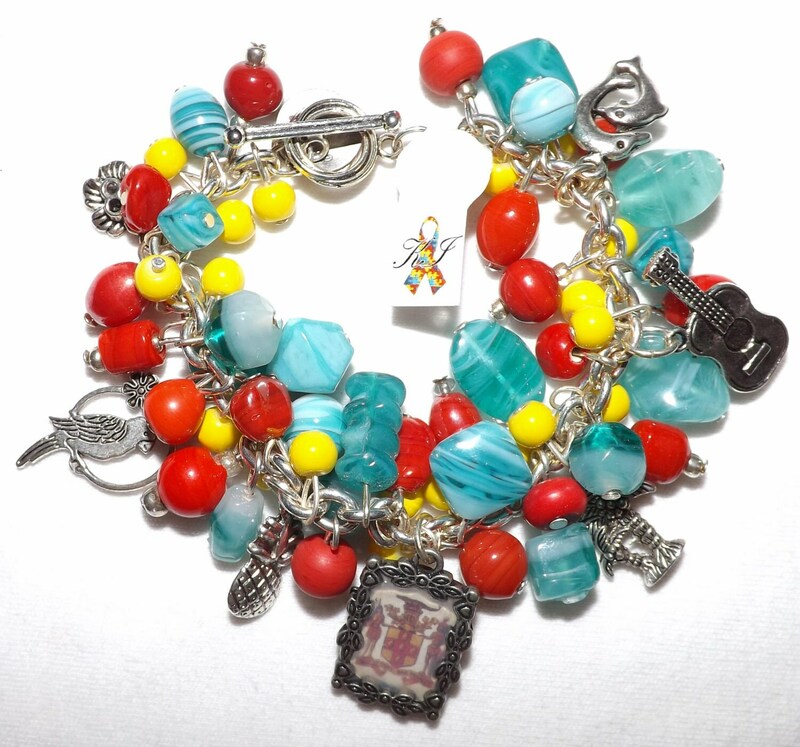 This Jamaican inspired bracelet has colors that will make you think of Jamaica and charms of Jamaican Icons. 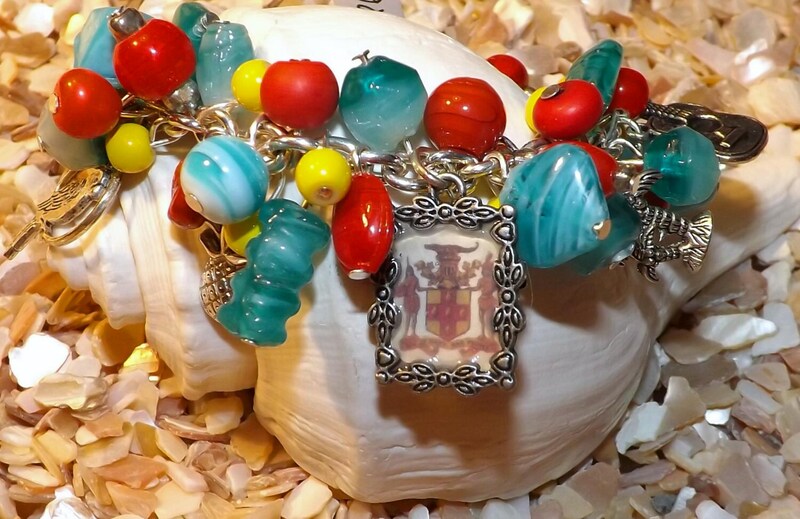 The bracelet is 7.25 inches, I can shorten or lengthen the bracelet if you need. Just send me a message.